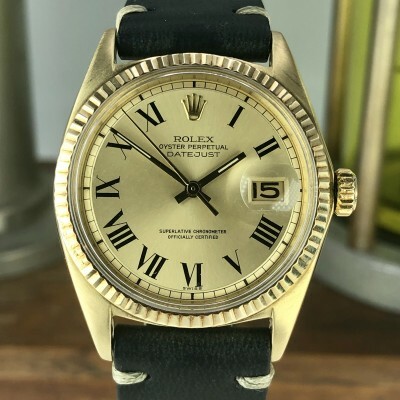 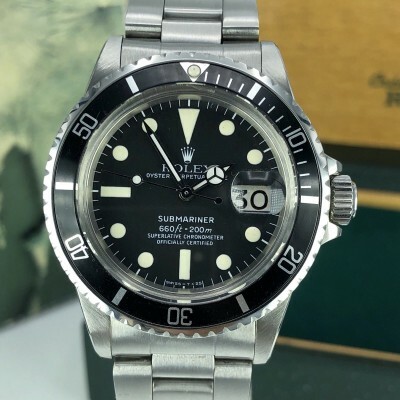 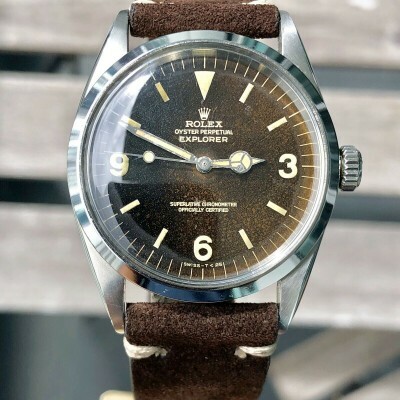 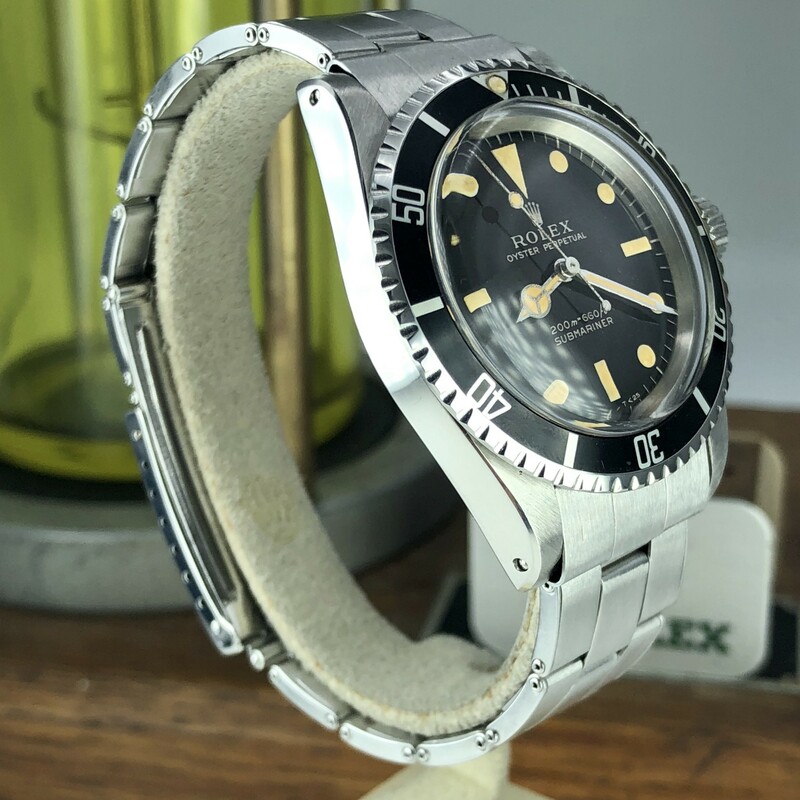 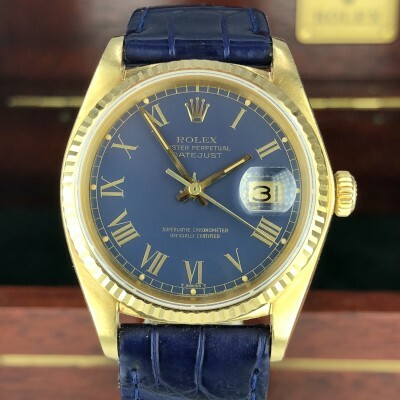 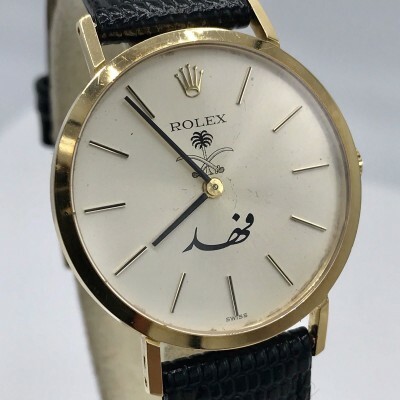 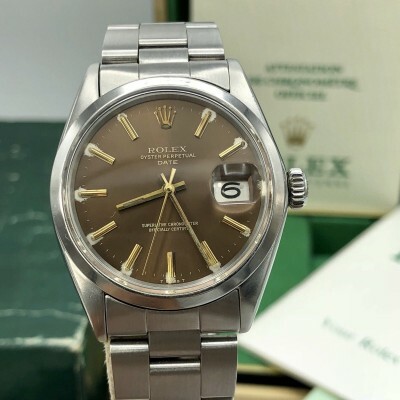 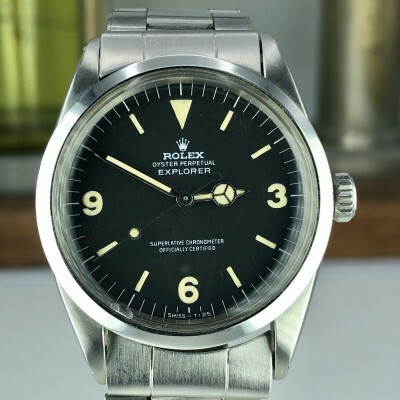 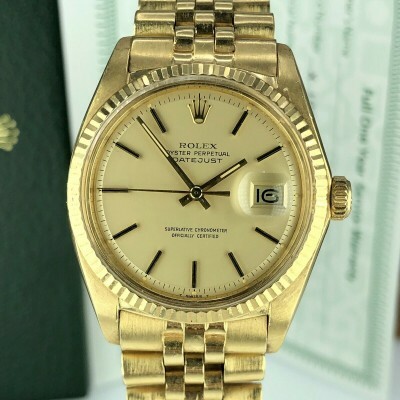 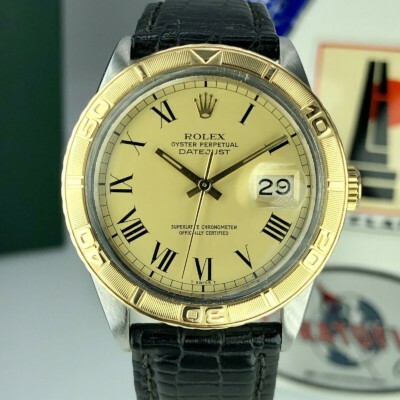 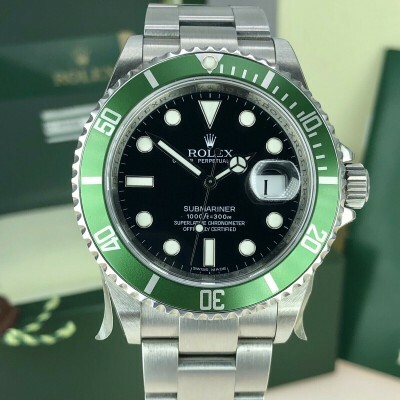 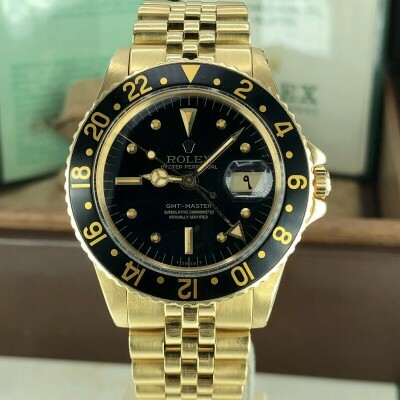 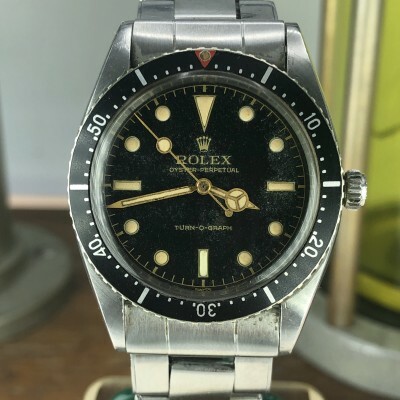 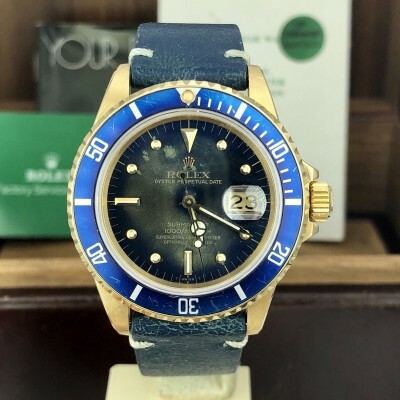 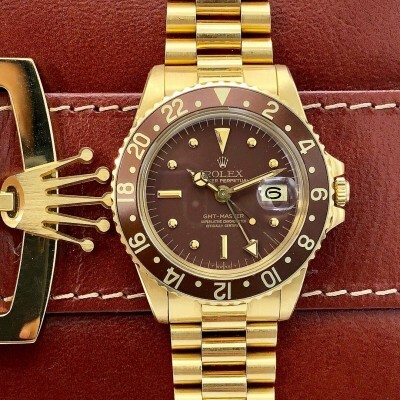 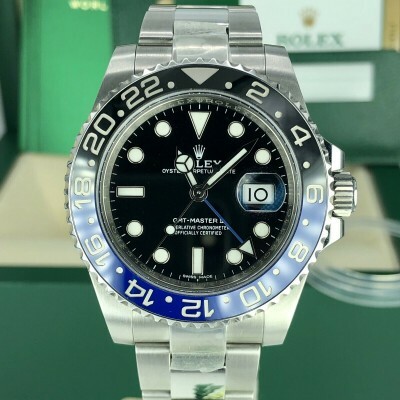 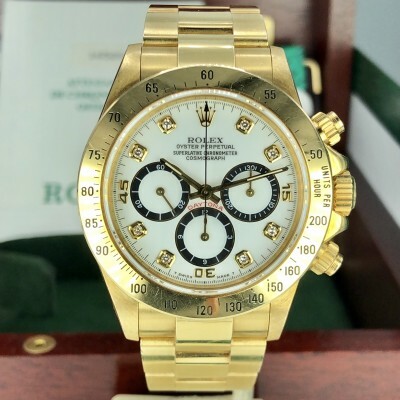 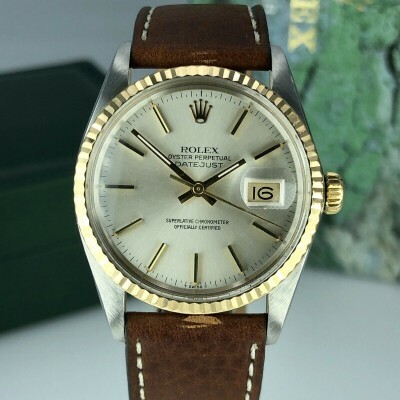 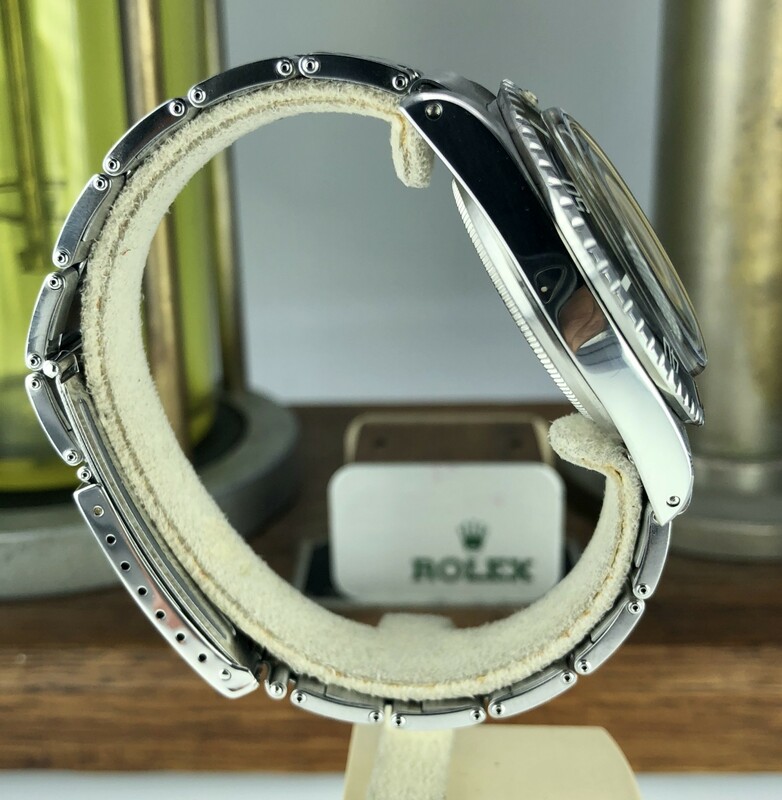 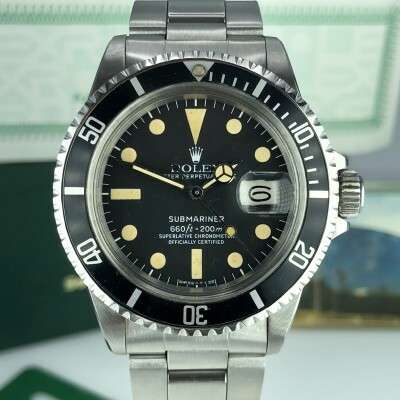 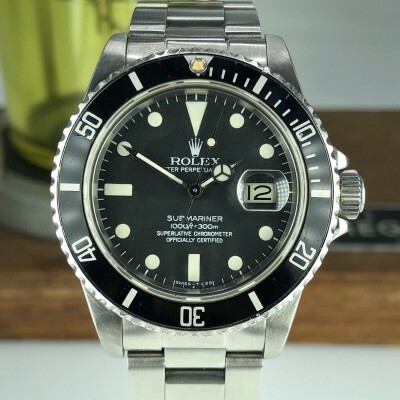 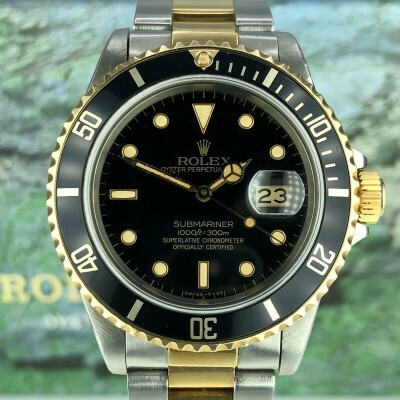 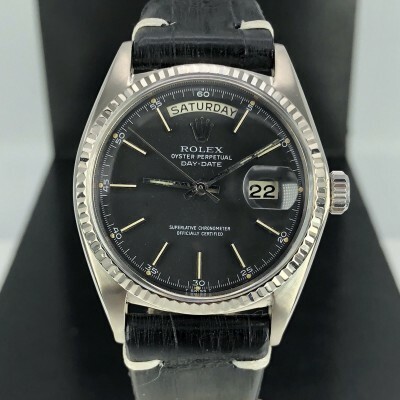 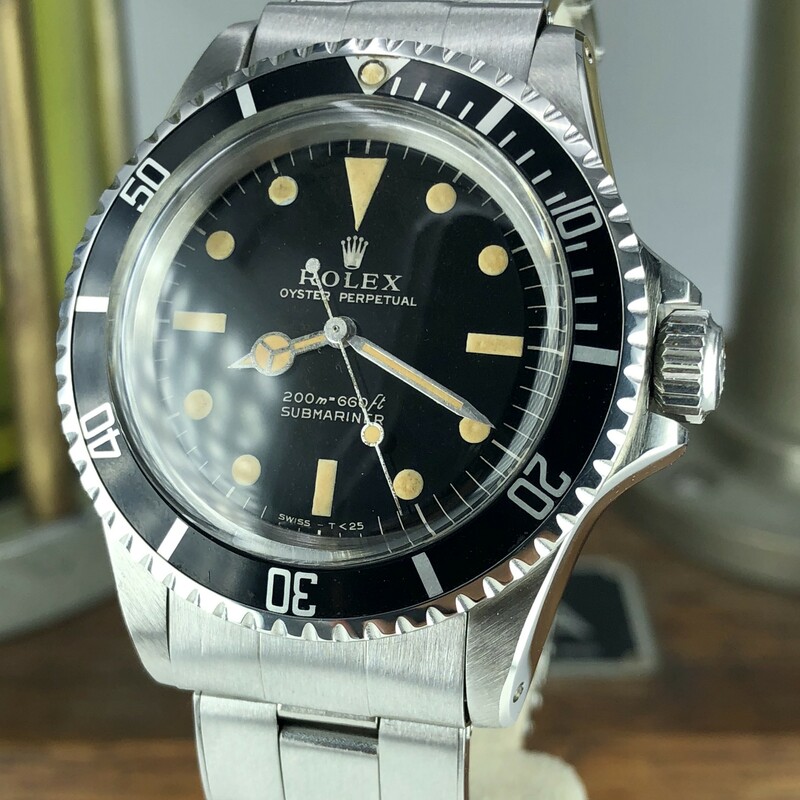 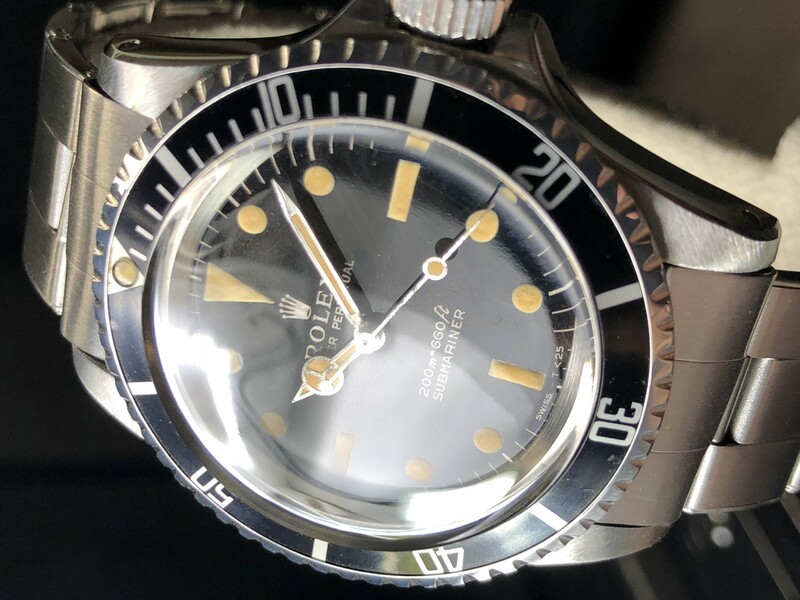 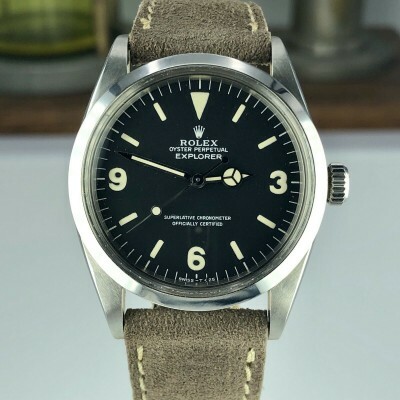 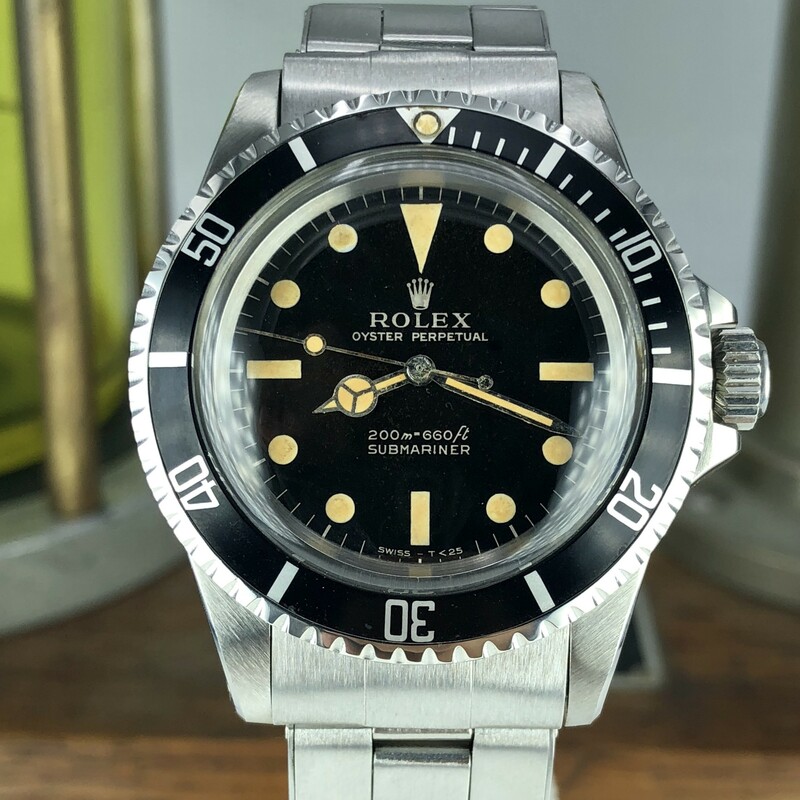 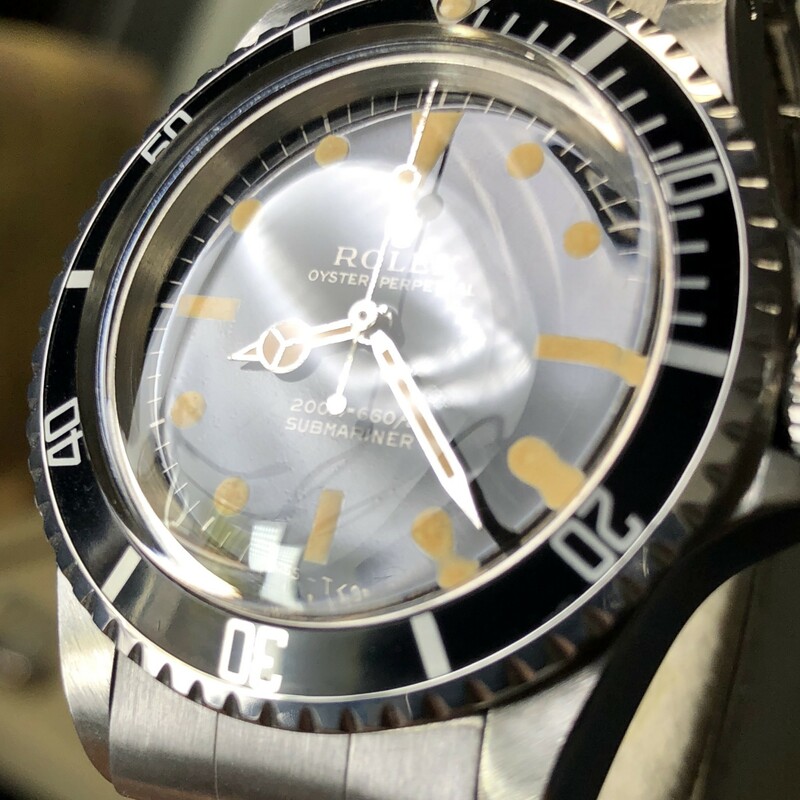 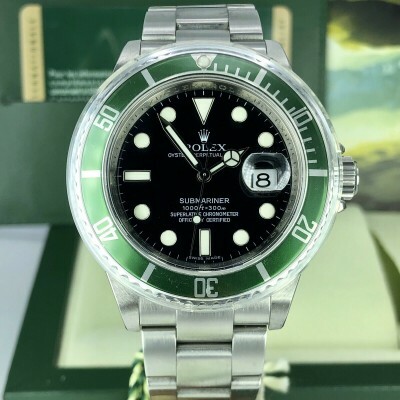 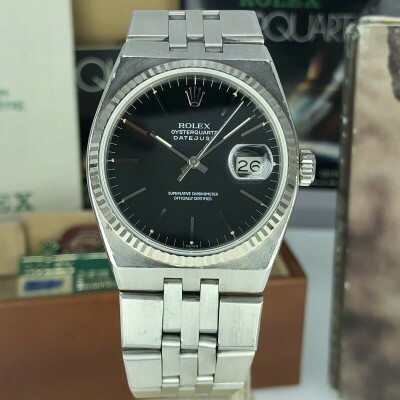 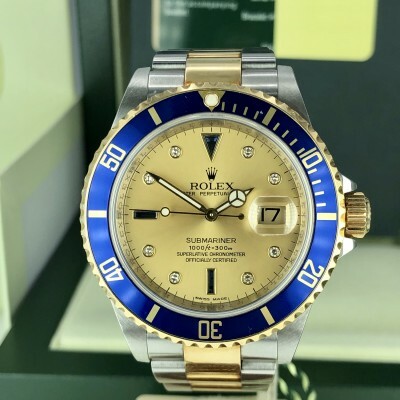 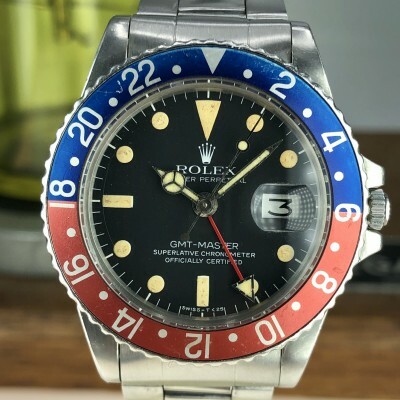 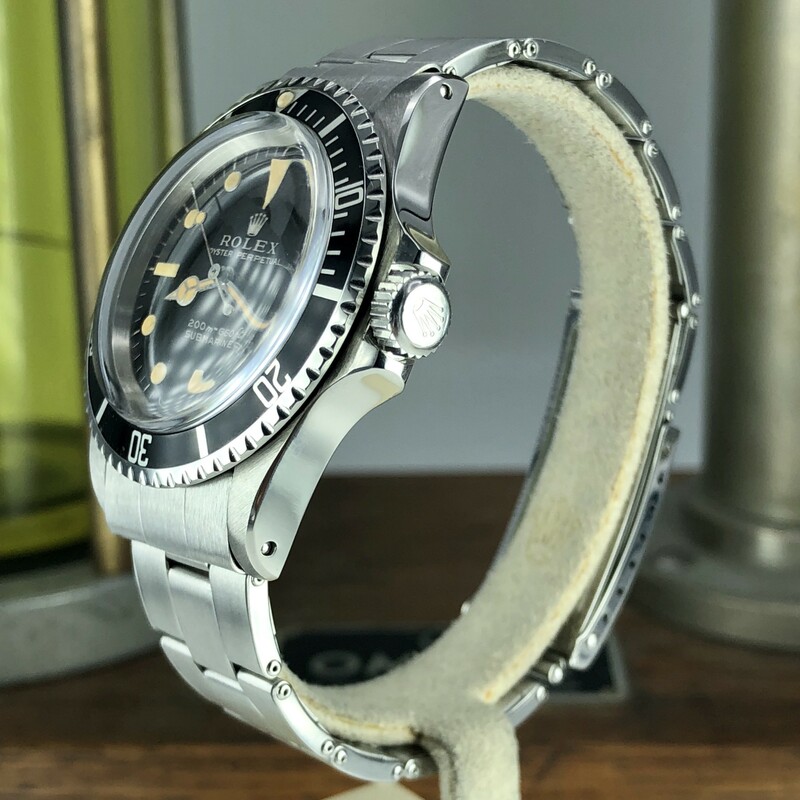 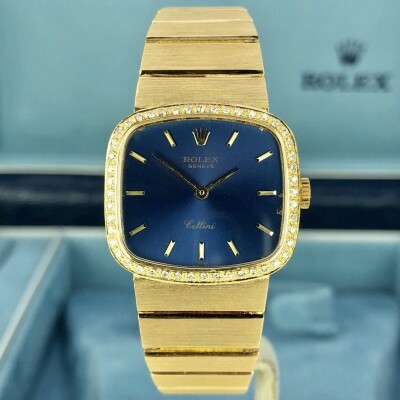 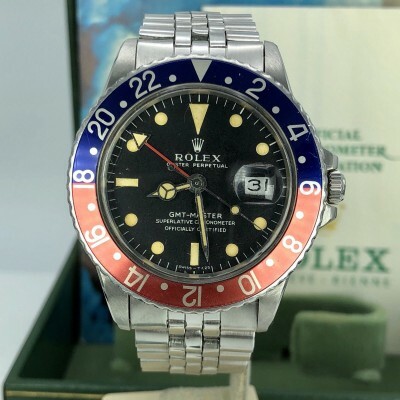 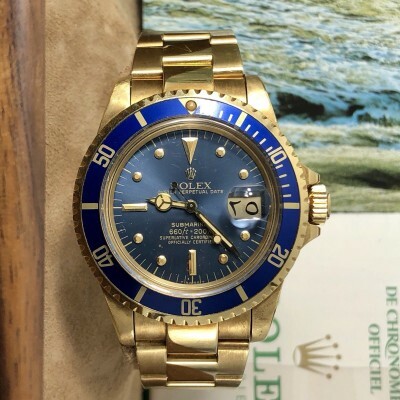 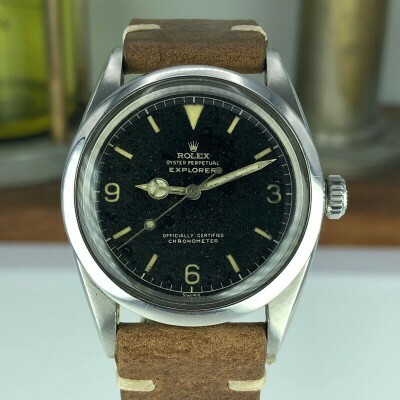 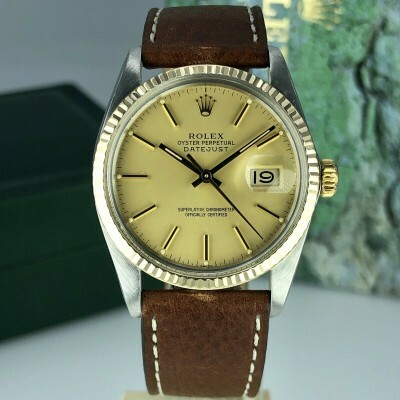 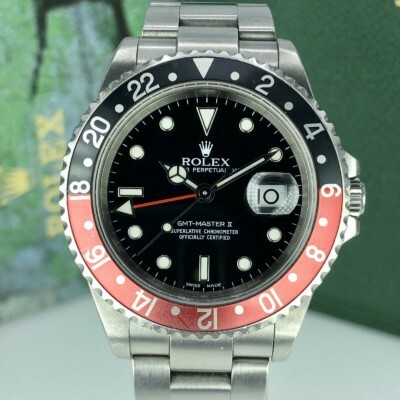 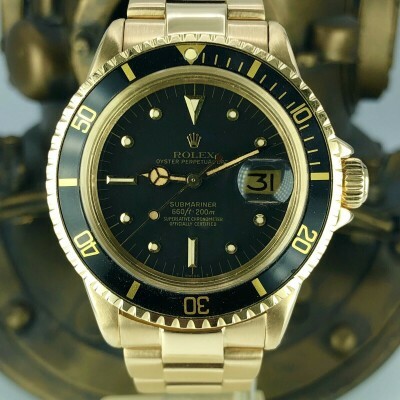 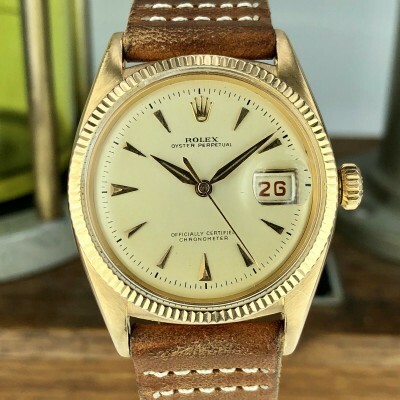 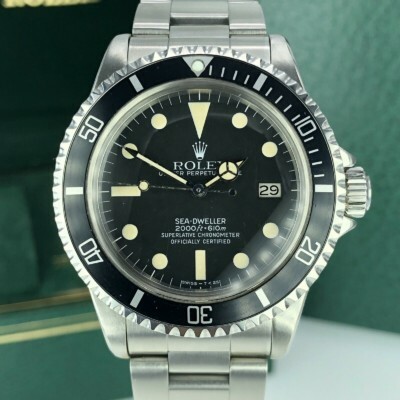 1965 Vintage Rolex 5513 Submariner Tropical Super Glossy Gilt Dial. 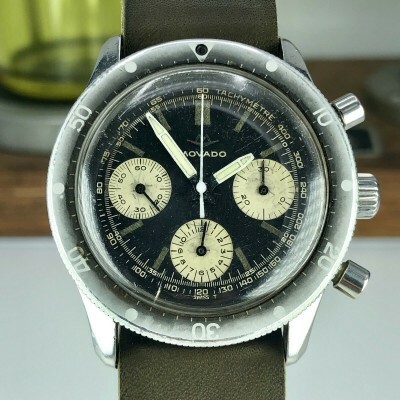 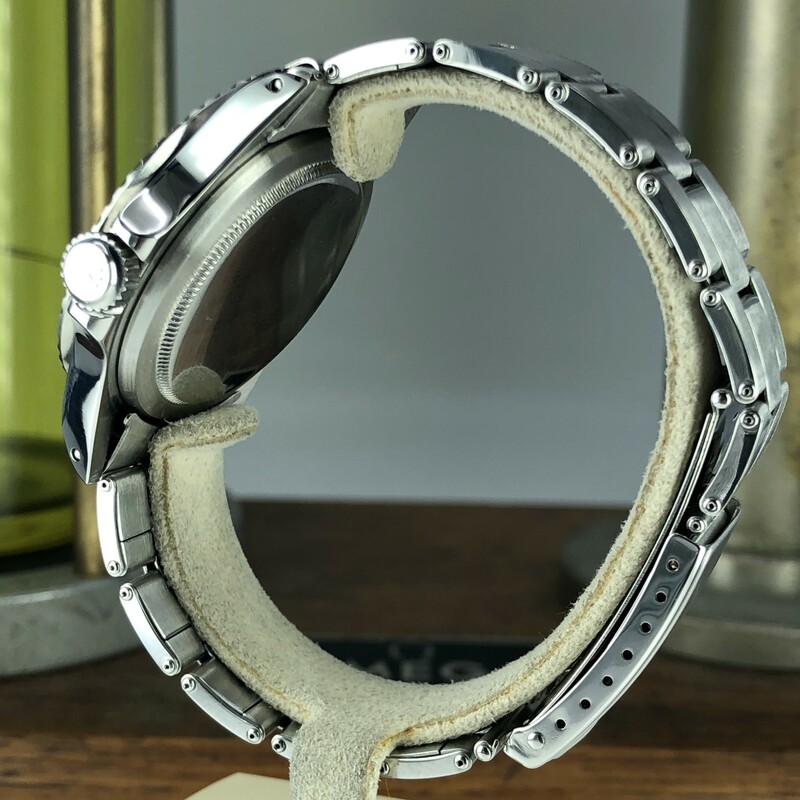 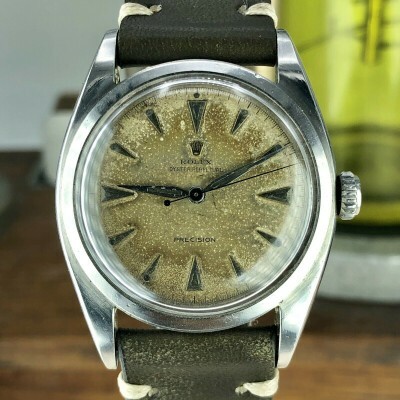 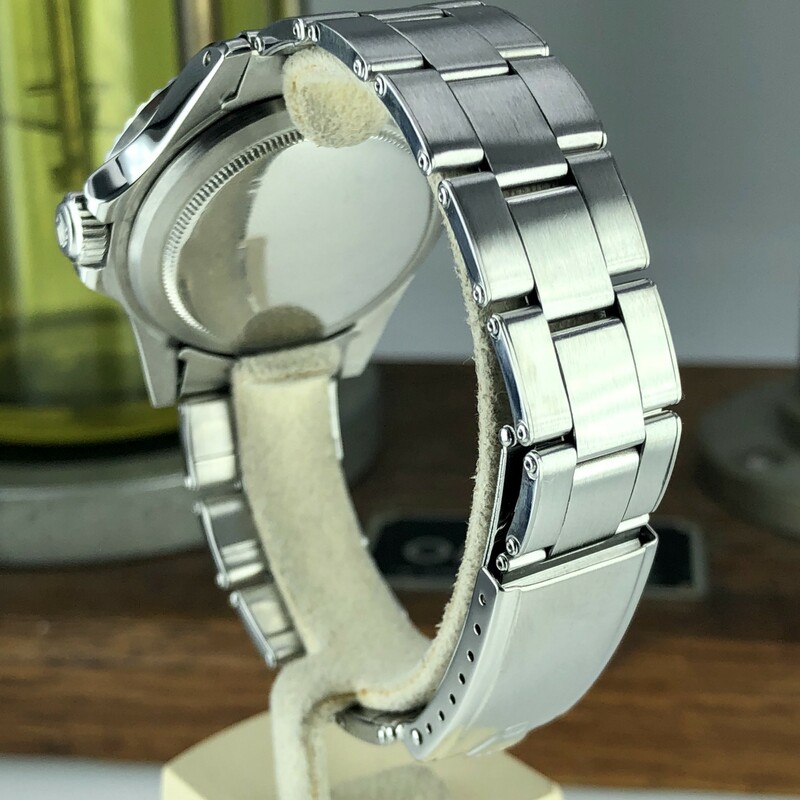 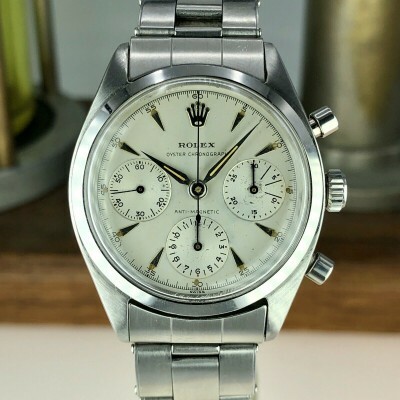 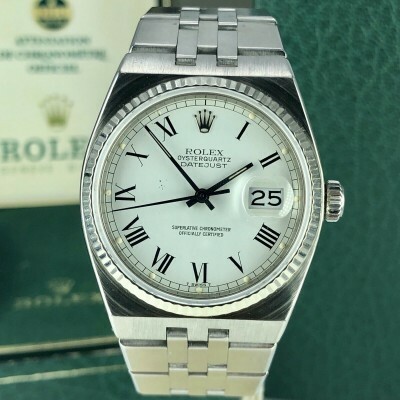 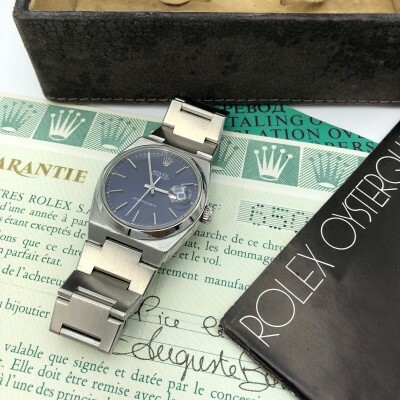 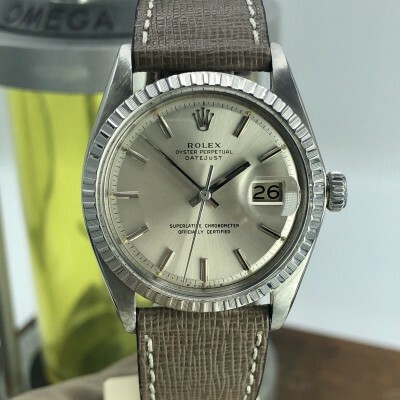 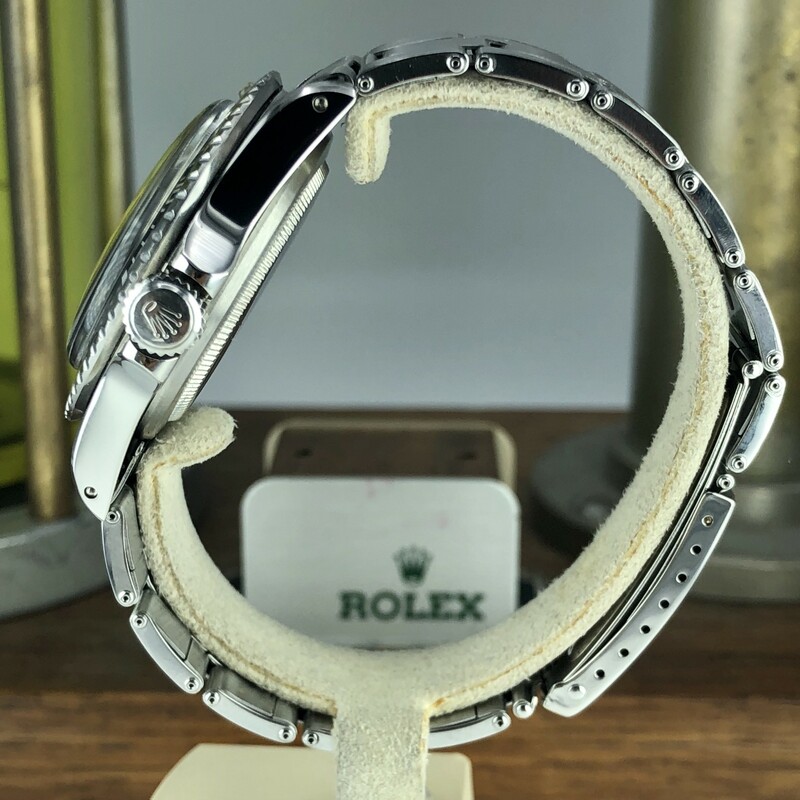 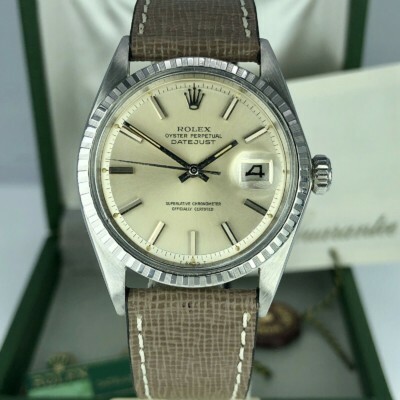 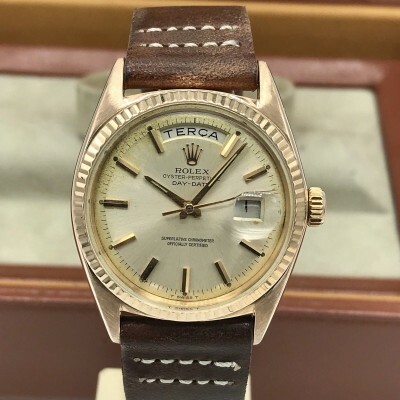 Case and band: Great condition recently polished,original insert, original bezel, Original case back dated 65. 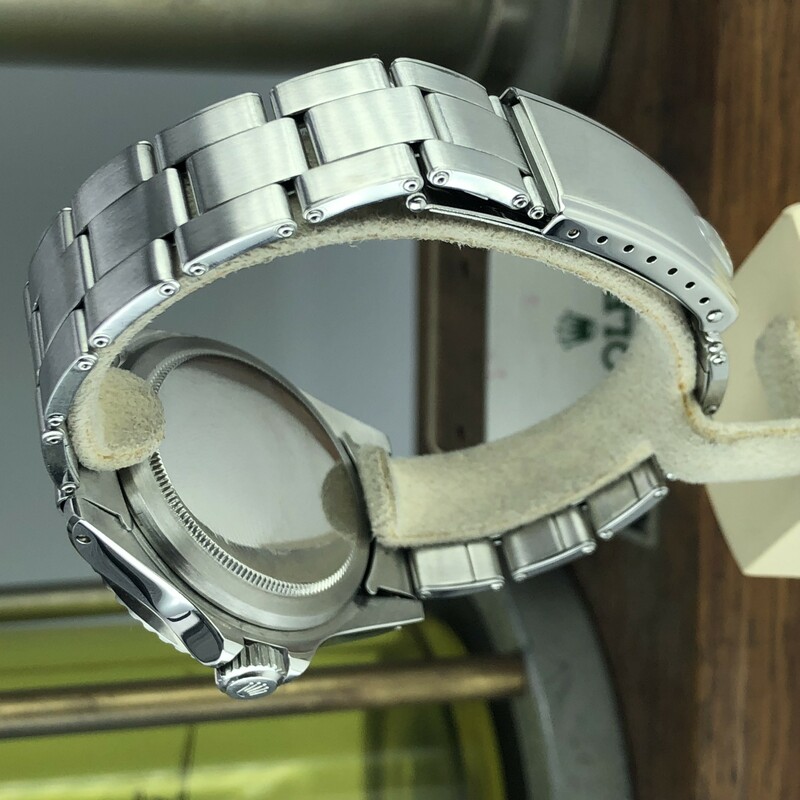 Original USA C+I Bracelet dated 76. 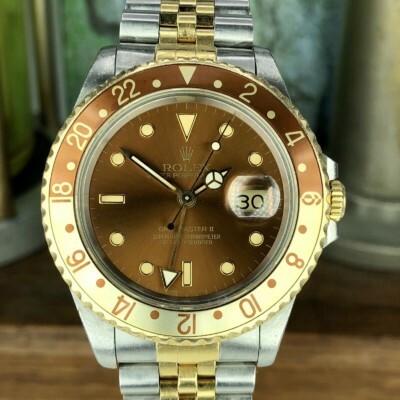 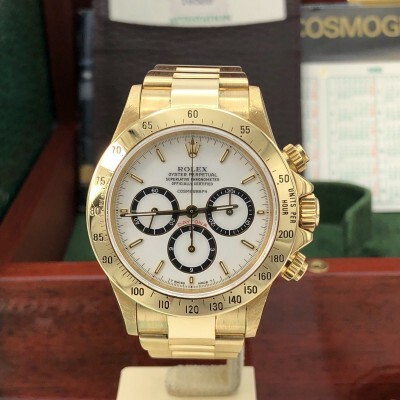 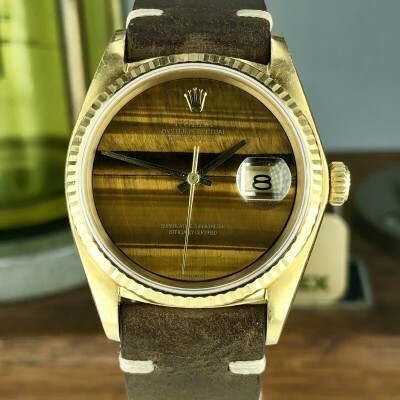 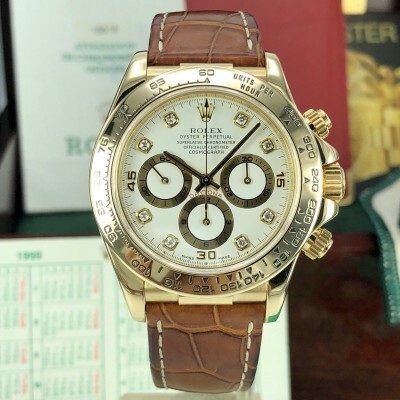 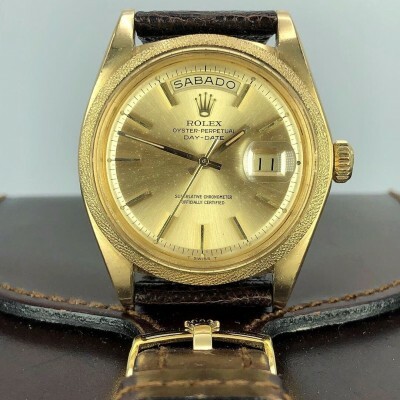 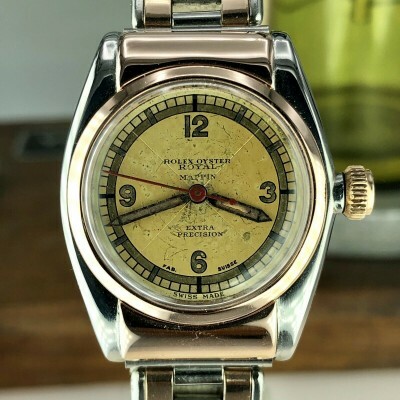 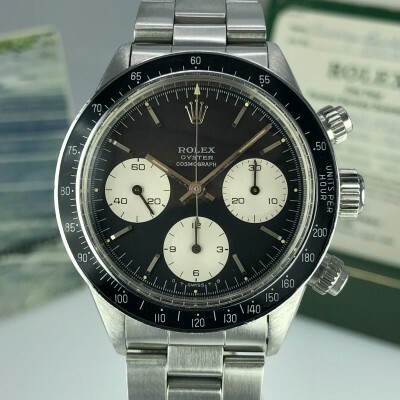 Dial and hands: super glossy gilt untouched dial in in original condition, the dial has some brown tropical spots hard to see in the pictures,original hands matching the dial. 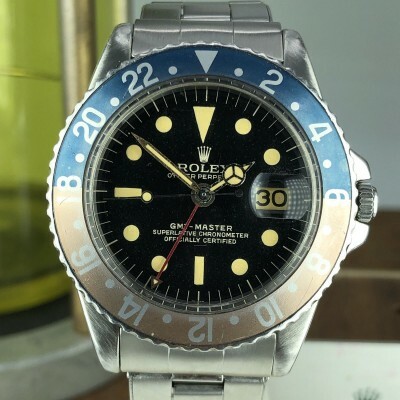 Movement: Original 1520 Movement keep good time. 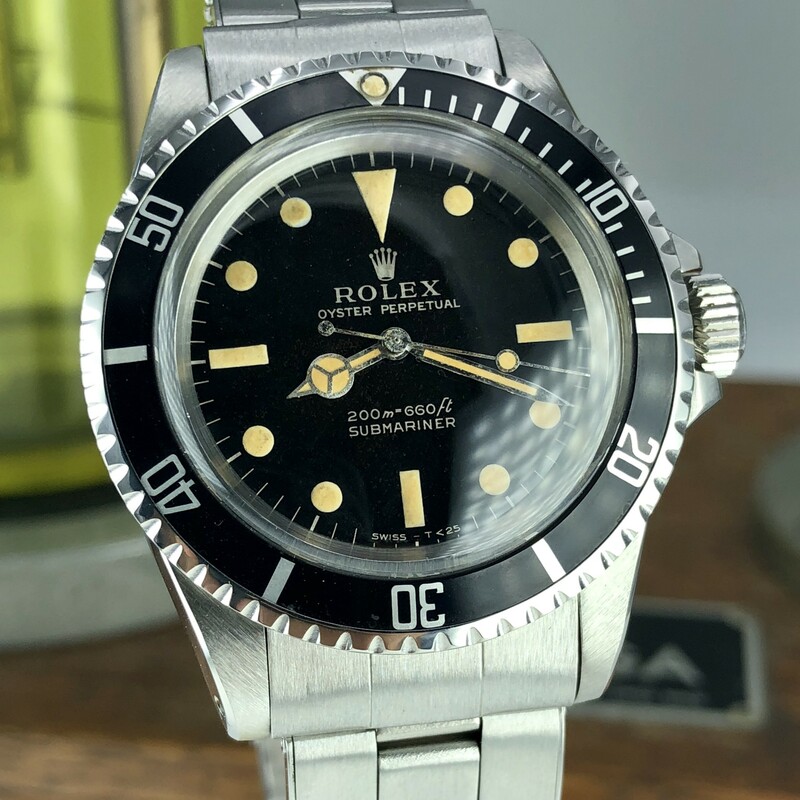 Recently serviced. 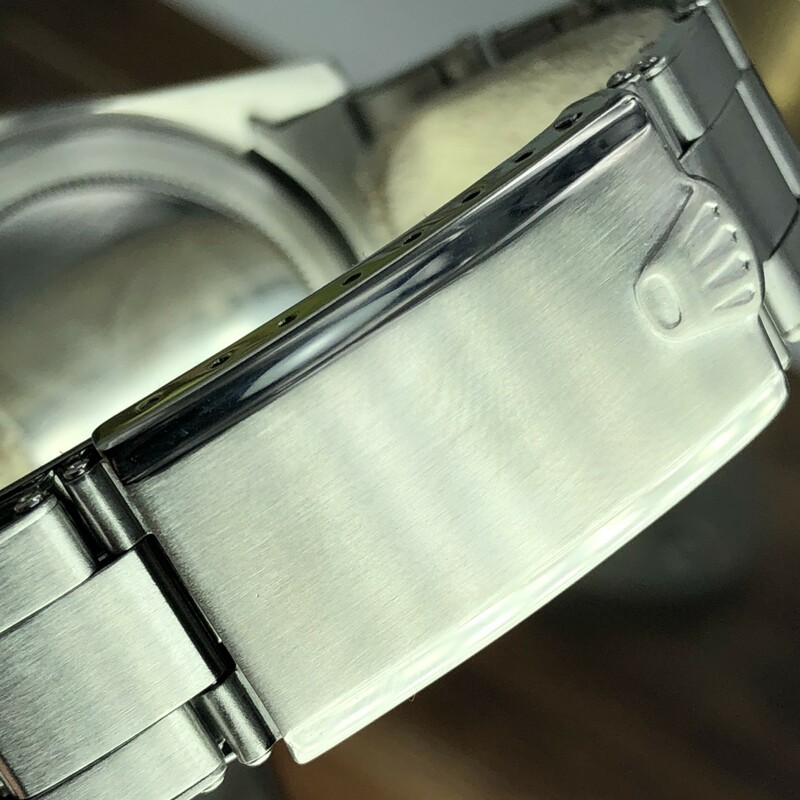 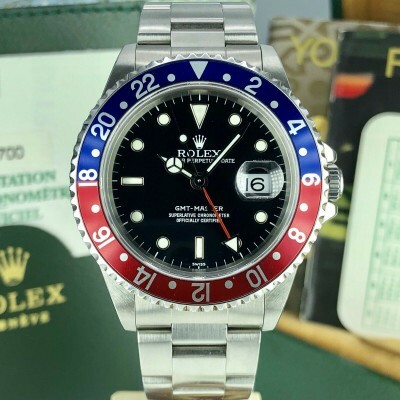 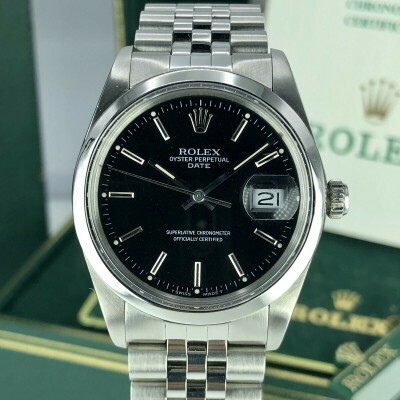 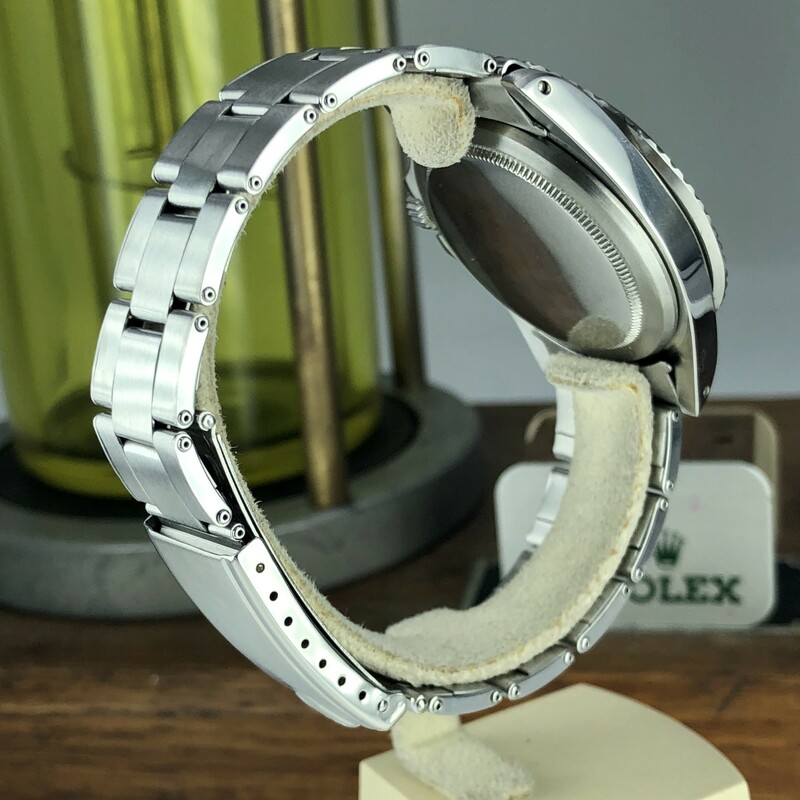 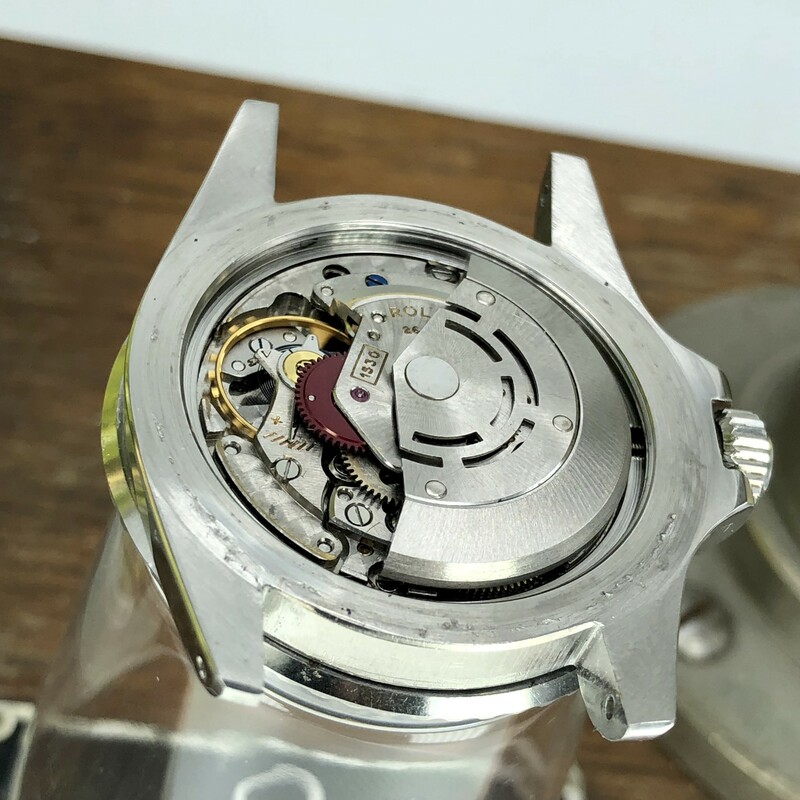 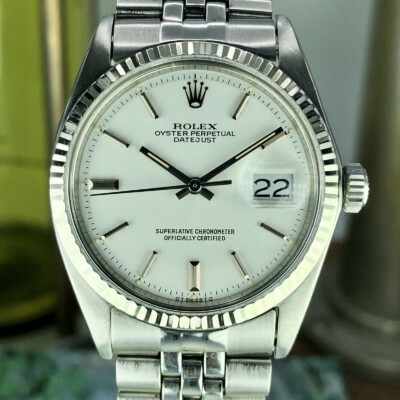 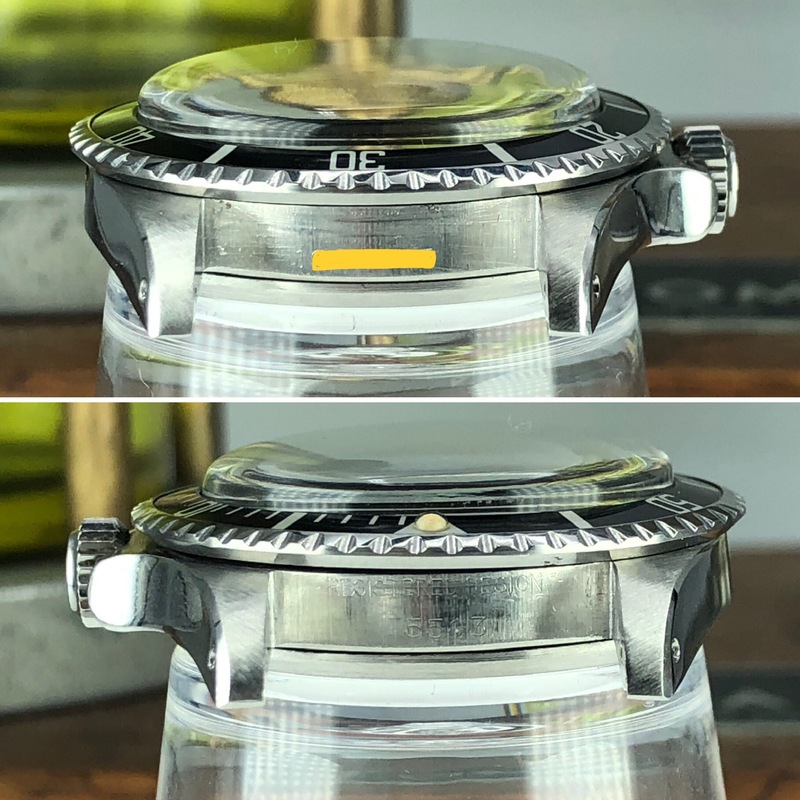 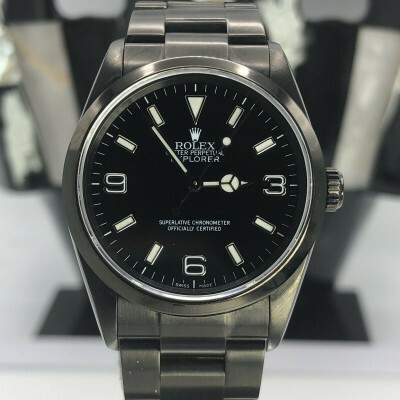 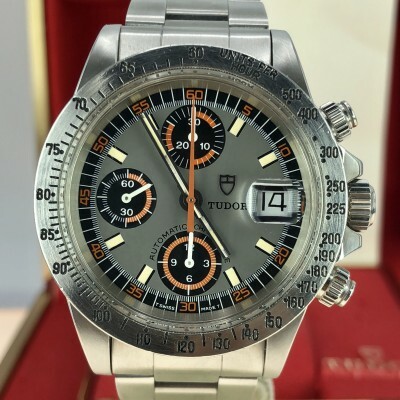 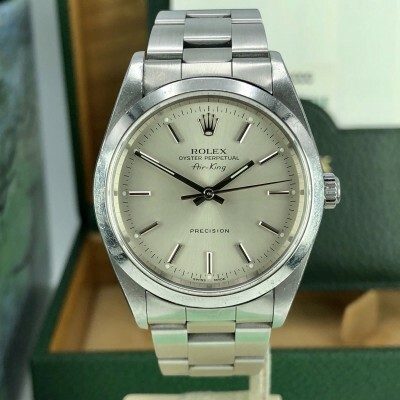 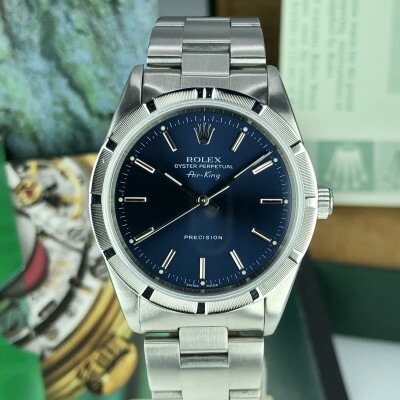 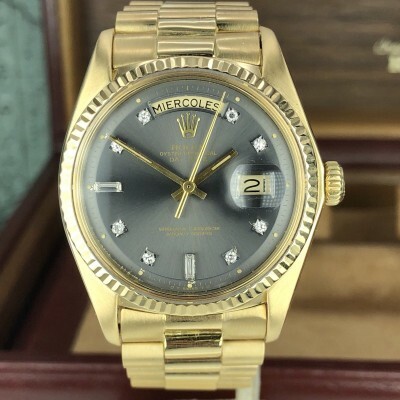 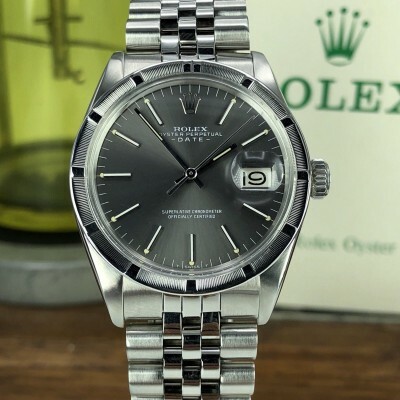 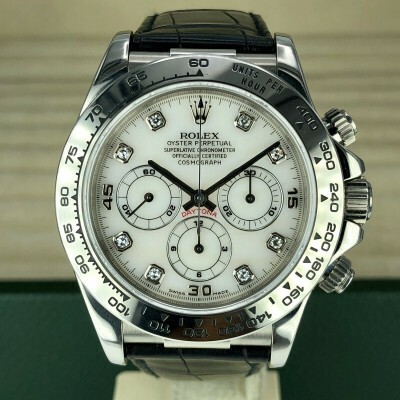 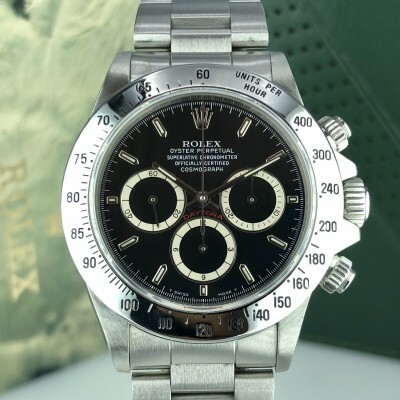 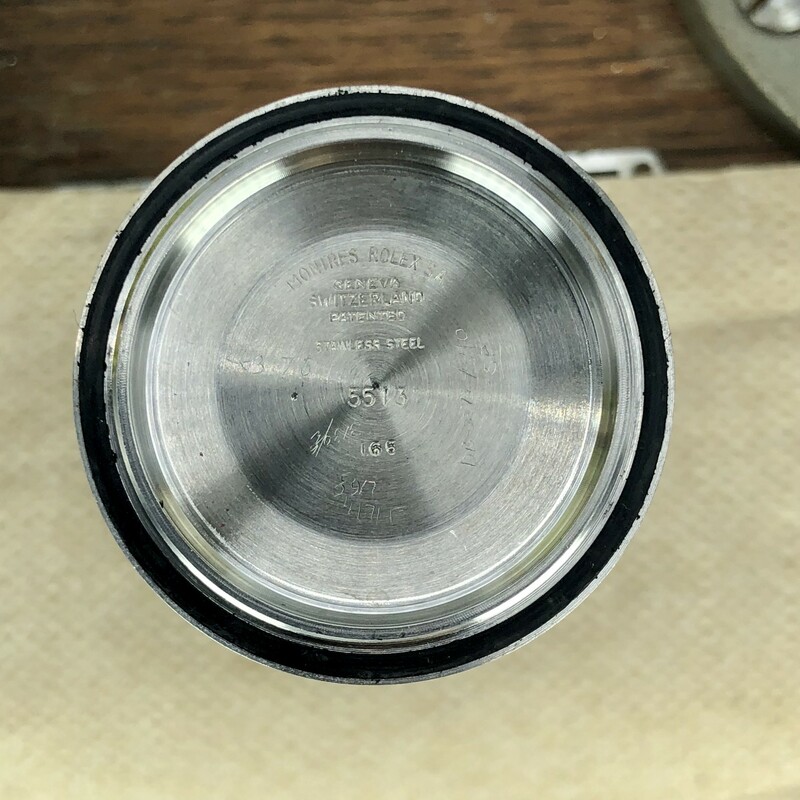 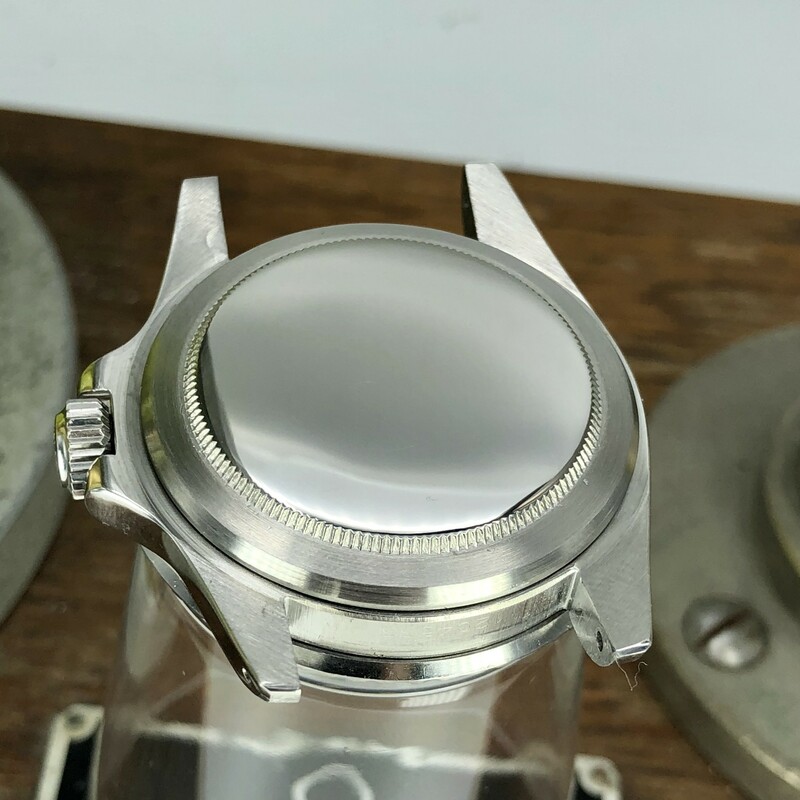 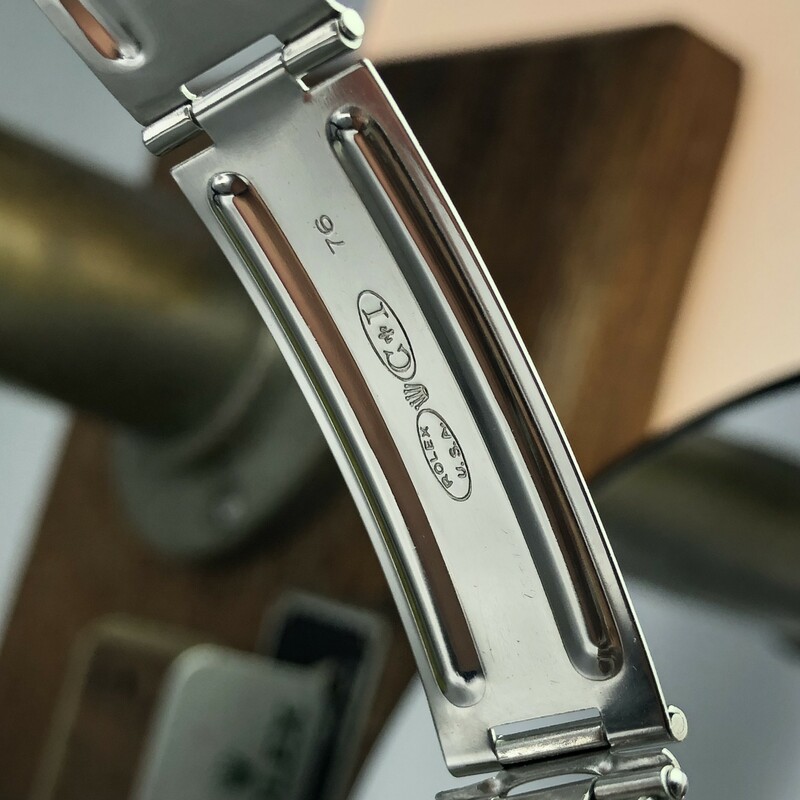 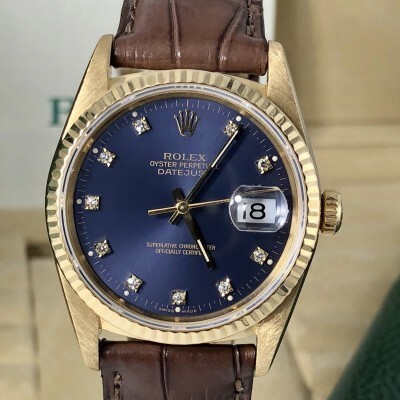 other: we replaced the crystal to take a clear picture of the dial, the original crystal will be included with the watch.